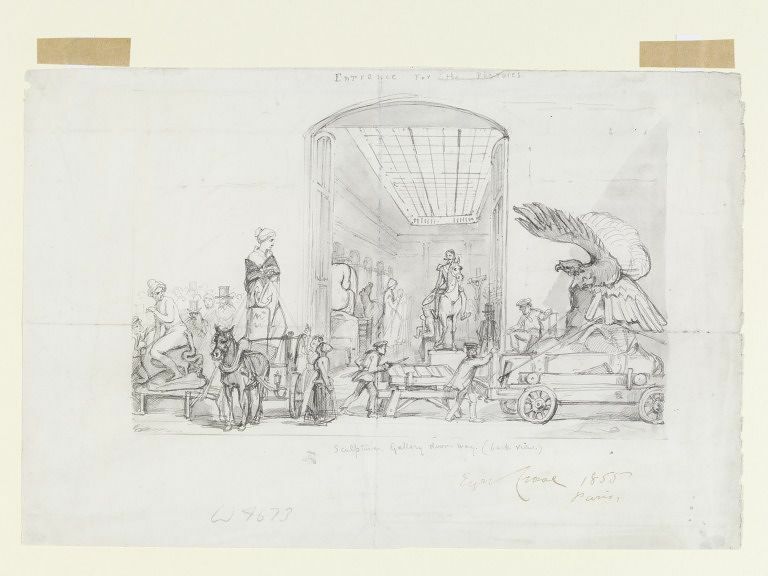 This sketch was made in 1855, during Eyre Crowe’s time in Paris between 1852 and 1856. It shows people and carts arriving bearing sculptures for the exhibition. It is very similar to the sketch Delivery Entrance of Palais des Beaux Arts at the Exposition Universelle of 1855. The sketch was apparently sold by Abbott and Holder to the V&A in 2012 (List 416). An image of the sketch and further information is available on the Museum’s website.